All About Creative Market’s Shopping Cart – How can we help? Mousing over on any product in search results will show you a small cart icon. 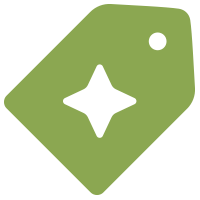 Clicking this icon will add the product to your cart and allow you to keep browsing. When an item is added to your cart, you’ll see the number change beside the shopping cart icon by your profile. To review the items in your cart, just click this shopping cart icon. Note: Prior to purchase, we recommend that you review the listing description of each product carefully to make sure you’re aware of the software that’s required. After visiting your cart, you may also visit individual product pages by clicking the item of the item. Visit the product page of any product in the cart. If you’d like to double-check product specs before purchase, just click the title of the product in your cart, and you’ll be taken to the product page. The item will be saved in your cart, and you can access the cart again at any time by clicking the small cart icon in the top right corner. Change the license of any product that offers an alternative license. For example, this product also offers an Extended License. Clicking the dropdown allows you to change the license if you’d like. Note: Our Fonts and Add-ons do not offer the Extended License, so you will not be able to change the license for items in those categories. Change the number of licenses for specific item(s). Just update the QTY to any number, and your subtotal and grand total will be updated. Completing your shopping cart purchase is set up the same way as completing a direct product purchase. The shopping cart will display the total amount at the top, followed by a breakdown of funds used to finish the purchase. Any credits in your account balance will be used first. If you don’t have enough credits to finish the purchase, you may enter credit card information (and save that information for future purchases if you’d like.) Alternatively, you can top up your account balance with store credits. Note: We do not currently offer PayPal as a direct payment method. PayPal may only be used to purchase credits. When you’re finished, click Finish Purchase, and you’ll be billed. Can I use a coupon on my entire shopping cart purchase? A Creative Market promo code cannot be applied to the total amount in your shopping cart. Rather, promo codes may only be used on a single item in your shopping cart. If you have a coupon on your account, our system will apply it to the item of the highest value in your cart. If you’d like to save the coupon for later, just uncheck the coupon checkbox. Still need help? We’d be happy to answer any additional questions you have! Just reach out to us here.